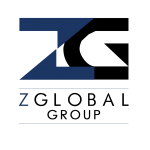 The Z Global Group Sales Director is responsible for securing new clients/business for Z Global’s technological solutions and digital advertising/marketing services within their assigned geographic territory. The Sales Director is also responsible for acquiring new customers for our business training solutions. S/he is provided target list(s) of prospective SMB clients within the territory and Sales Director revenue and activity goals are for 100% new business development.